Amy teaches a core strength vinyasa class starting with a mediation in the beginning and ending with a shavasana at the end of the class. She provides modifications for all poses. Her goal is to have people leaving her class feeling better than when they walked in. Amy enjoys encouraging her clients to breathe, stay centered and live in the present moment as they go amongst their busy days. She loves spreading knowledge and encouraging the belief in intentions. Amy finds it very important to pass on what she has learned to make others feel good and spiritual. 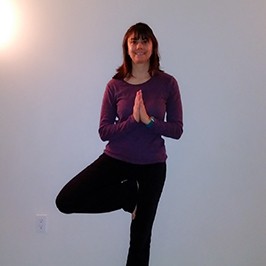 Elizabeth began practicing yoga in 2002 and earned her first yoga teaching training certification in 2010. In class, Elizabeth will guide you through a meditative and focused flow of postures that will stretch and strengthen your body. Emphasis will be placed on breath awareness and body alignment. You will be encouraged to move within your own limitations and accepting of where you are in your practice. Elizabeth's hopes are that you will leave class feeling rejuvenated and balanced physically, mentally, and spiritually. Kathleen received her 200-Hour Teacher training through Fred Bush Power Yoga at Yoga-Nanda studio in Garden City. Prior to finding yoga, Kathleen worked in the corporate world of video game publishing and then started her own personal organizing business and was fortunate enough to meet many beautiful people along the way including spiritual teachers. It was while she worked with one such professional that she discovered there was so much more to learn about the beauty of life and began on that journey and hasn’t stopped since. Tara has been in the fitness industry for 15 years. Starting with Spin and became certified with Mad Dogg Athletics. Through an injury, she found the wonderful benefits of Pilates work and have been teaching mat classes since 2004 and is now certified in Power Pilates. Tara has been teaching Barre classes for about four years and went to Beyond Barre for teacher training. Over the years, Tara has seen first hand how exercise can change a person; in the physical form and also shape them mentally into strong, focused and self confident individuals. Yoga is a true passion of Toni's; she has been teaching it for 8 years. She loves to see people receive the gifts that yoga has to offer. In today’s society stress is a constant, yoga can help us to distance ourselves from these stresses. Through asana and pranayama, we can transform the body, mind and soul. Veronica is a Certified Holistic Health Coach. 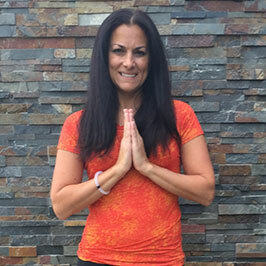 Her passion for yoga lead her to achieve certification in both & Prana Shakty Flow from the Long Island School of Yoga and Restorative Yoga from Laughing Lotus yoga studio in NYC. She is also certified in the Usui System of Reiki Healing Levels I & II. Her goal as a yoga instructor is to make sure her students achieve a state of overall physical, emotional and spiritual wellbeing as they leave the class and that eventually they are able to apply their yoga practice on the mat into their everyday lives. In 2012, Meredith initially attended yoga classes to prevent running-related injuries while preparing to run her first half marathon. 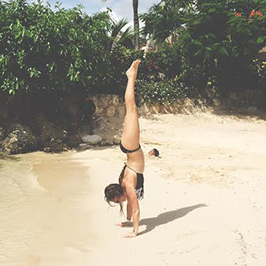 As Meredith’s yoga practice progressed, she learned to focus her mind inward amidst distractions on and off of the mat, which led to a more centered and peaceful existence. Yoga greatly enhanced Meredith’s life, and she believed that it could greatly enhance the lives of others as well. As a result, Meredith enrolled in the YogaWorks 200 Hour Teacher Training program in New York City, from which she graduated in March 2015. Meredith’s classes focus on proper alignment, listening to the breath, and linking breath to movement. Rosemary is a registered nurse, and a busy mother of three girls. 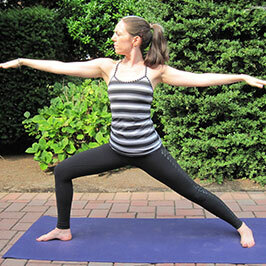 She was introduced to yoga by a friend, and took her very first yoga classes here at Body Works. After a couple of classes, she knew yoga was just what she was looking for. It was a quiet time to go within, an escape from busy life. After each yoga class she took, she noticed many positive effects it had on her life. She decided that she wanted to help others learn how to slow down and go within. 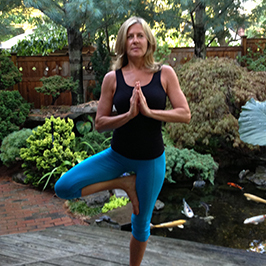 She went on to earn her 200RYT certification at the Yoga and Polarity Center in Malverne. Her intention in her classes, is for her students to feel renewed and replenished in their mind, body, and spirit. Marci’s classes are designed around a sense of self-awareness, for both the mind and the body. We enter each class with a virtual scan of the self’s unchartered territory, using imagery as a guided tool. Her goal is to help assist each practitioner on their journey to meet their barriers, both physically and mentally, encouraging light and movement to open up a new pathway that enables them to press forward with their workout and their lives. 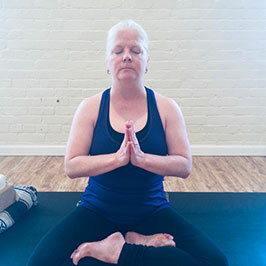 Lorraine began her yoga practice over six years ago as a means to alleviate tightness and stress in her body as a result of a 30 year career as a Court Reporter. When she retired in 2014, she was drawn more and more to her mat. With a desire to deepen her personal practice, she enrolled in Yoga Nanda Garden City's 200 hour teacher training program and graduated from the program in March 2017. In addition, she also completed a Level One Mindful Resilience for Trauma Recovery training program. She is a Yoga Alliance registered teacher. Lorraine hopes to bring a focus on being mindful both on and off the mat. Dana has practiced yoga for many years, but yearned for a deeper understanding of the practice and why it helped her to feel more centered. She has completed a 300 hour teacher training at Yoga Flow Studio in Glen Head and is a Yoga Alliance registered teacher. Dana is a Licensed Massage Therapist, which reflects her keen interest in alignment and the body’s muscle system. Dana has found that yoga helps to ground her in her massage work and to be a more compassionate and grateful human being. She hopes to share her skills, experience and that sense of gratitude with her students. Lora was instantly hooked to the physical challenge of yoga. Growing up as a dancer and then going on to professionally dance for 6 years, she found yoga as a release of stress. It was a space free of judgement, comparison or any expectation. She went on to receive her 200 HR training in Costa Rica. She is so excited to share a space of growth and exploration of each individuals practice. Her class is flow inspired geared towards all levels, incorporated with soul grooving music. Her goal is to inspire and connect with as many yogi’s to provide them with the tools they need to lead a positive, mindful and self-loving journey on and off the mat. Meaghan is a second-year English Master's student at Fordham University. 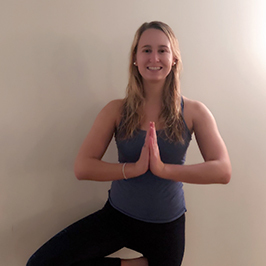 She started teaching exercise classes as an undergraduate at Providence College and is currently certified in Sports Yoga, Spinning, and Group Exercise. Her hobbies include reading, hiking, and going to the beach.